Ethereum price failed to clearthe $185.00 and 0.0350BTC resistances versus the US Dollar and bitcoinrespectively. ETH to BTC is currently trading with a bearish bias and it coulddrop to 0.0315BTC. 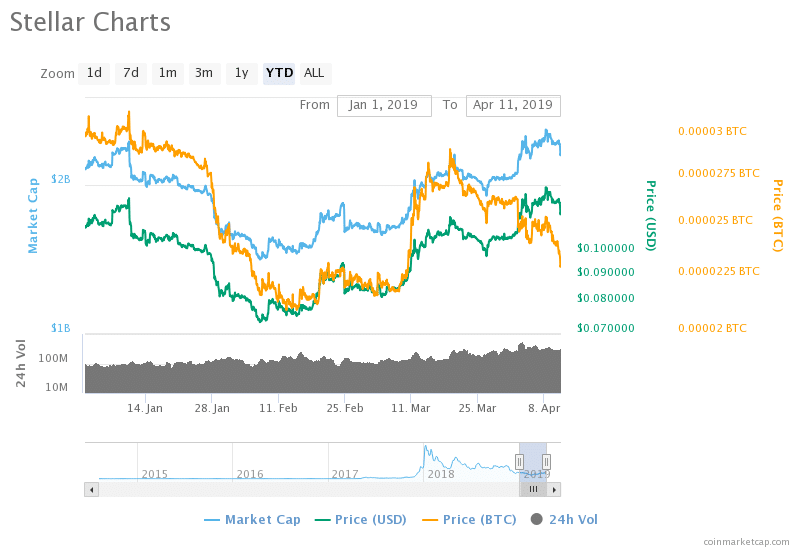 Ethereum price recovered recently, but it failedto gain strength above 0.0350 against bitcoin. There was a break below a major bullish trendline with support at 0.0336 on the 4-hours chart of the ETH/BTC pair (data feedfrom Poloniex). The pair is currently trading with a bearishangle and it could slide towards the 0.0315 support. Looking at the chart, the price revisited the key 0.0350BTC resistance area recently and formed a swing high at 0.0352BTC. Later, there was a fresh decline below the 0.0345BTC support and the 100 simple moving average (4-hours). The price even broke the 50% Fibretracement level of the last wave from the 0.0314BTC low to 0.0352BTC high.More importantly, there was a break below a major bullish trend line withsupport at 0.0336 on the 4-hours chart of the ETH/BTC pair. The pair settled below the0.0330BTC level and it is currently testing the 61.8% Fib retracement level ofthe last wave from the 0.0314BTC low to 0.0352BTC high. The current price actionis clearly bearish, suggesting more losses below the 0.0328BTC support in the nearterm. The next major support is nearthe 0.0320BTC level. If there are additional losses, Ethereum could divetowards the 0.0315BTC support area in the near term. On the upside, theprevious supports at 0.0334BTC and 0.0336BTC are likely to act as stronghurdles for buyers. Overall, Ethereum price isclearly trading in a bearish zone below 0.0340BTC and it may continue to slide.The main support is at 0.0315BTC where ETH buyers are likely to take a stand inthe coming sessions.